It's not a myth! Every student loan borrower has to repay their debt, even if they are unable to find a job after graduating or didn't graduate at all. However, some repayment options can lead to your federal student loans being forgiven, canceled, or discharged. There's no way to make 120 payments in less than 10 years, even if you try to double up on the monthly amount. Since the program was enacted in 2007, the Department of Education will not begin accepting applications until 2017. Public Interest Lawyers Help Us. Here's How We Can Help Them. There is a little known federal program, Public Service Loan Forgiveness (PSLF), which entirely forgives the indebtedness of a lawyer who elects to work in public service, rather than at a law firm or in-house at a corporation. Public Service Loan Forgiveness (PSLF) was enacted by Congress to incent long-term public interest careers by allowing borrowers to earn forgiveness of their student loans after they make 120 on-time monthly payments while working in a wide range of qualifying public interest positions. Student loan debt will be a key issue in the 2016 presidential election - and it should be. The $1.3 trillion in student loan debt has become a defining economic factor for students and graduates across the country. These changes are projected to save the government $60 billion over 10 years. While this may sound like a lot, it is a mere two percent of the $3.02 trillion in tax revenue the federal government collected in fiscal year 2014 alone. On February 27, the Department of Education announced it will end its contracts with five private collection agencies. It's good that the Education Department is cracking down, but much more needs to be done to hold collection agencies accountable for unfair or deceptive practices. Colleges make it simple for students to borrow by packaging several different types of federal loans... Sometimes, schools even give students more loans than they need. The students have to accept the package and deal with the loans when they leave, whether they graduate or not. Have We Already Solved the Student Debt Crisis? Kevin Carey posits that the market dominance of federal student loans combined with income-driven repayment plans has solved student debt crisis. It's an intriguing and optimistic thesis. Valentine's Day is coming up, but we know you don't want to put a ring on your student loans. Even if you can't love them, here are six good reasons to value your loans. Dear Sen. Warren: I need your help and I honestly believe with my whole heart that you are the only person in our entire country who can help me -- and others like me. It has to do with my student loans; nothing to do with repayment, but everything to do with the red tape attached to getting customer service from servicers. Whether you are still deciding on college, taking out your first loans or are already in repayment, there is a lot to know about borrowing and repaying student loans. Law School Tuition: Helped or Hurt by Public Service Loan Forgiveness? Public Service Loan Forgiveness is an invaluable tool for retaining lawyers for long-term public interest careers and closing the justice gap. It is not the cause of high law school tuition and it is not making law students willing to borrow more. Without the ability to earn Public Service Loan Forgiveness, public defender offices, nonprofits and legal aid organizations will face even larger barriers in recruiting and -- most importantly -- retaining attorneys to provide experienced and high quality representation to low- and middle-income Americans. 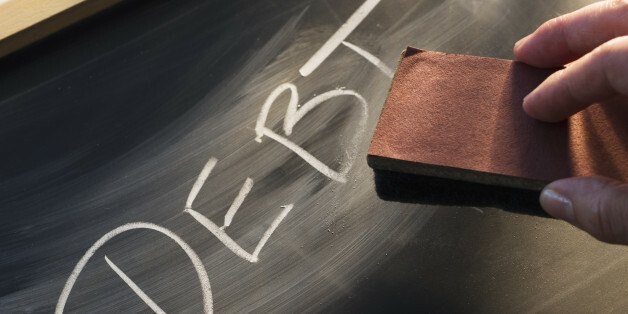 CFPB Recognizes Dangers of Student Loan Debt. Works to Forgive More Loans. Will Only Full Payments Count Towards Public Service Loan Forgiveness? Why Is Obama Sticking It to Public Servants? I never thought I would be at odds with a president I voted for twice over a program started by George W. Bush, but that is where I find myself now.